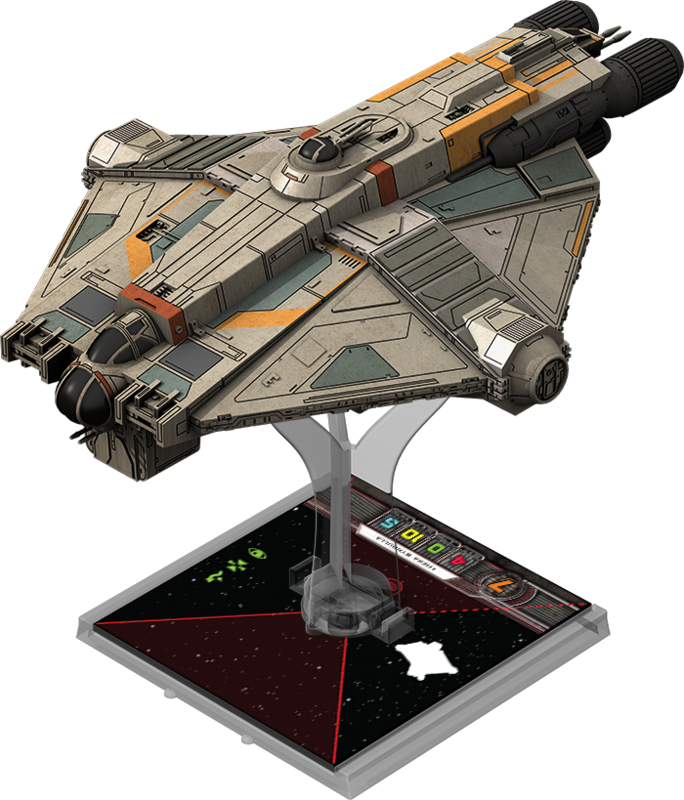 TheMetalBikini.com- X-Wing Miniatures and more: X-Wing League Play - A friendly tutorial or a few observations from the bartender. X-Wing League Play - A friendly tutorial or a few observations from the bartender. Greetings and salutations fellow nerds! A few friends of the bar asked me to write about X-Wing league and league play. As such, I am a slave to the people. So lets jump on into it shall we? 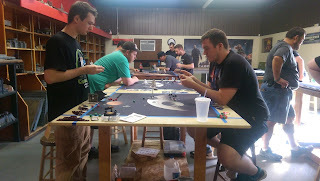 First and foremost with any miniatures league (and any group project from college or high school or middle school), the Tournament Organizations (TO) must be willing to do all of the work. Isn't this why teachers and professors always assign a group leader? Come on people, we all know who we are dealing with: nerds, closet nerds, high functioning nerds (you know, those who have big boy jobs or pretend to have jobs - eheemmmm Jeb), and the occasional magic player (oh 'lawd have mercy). We honestly cannot count on anyone else doing any portion of the work. Period. As most of you TO's can identify with this, we must be willing to deal with store owners, players, and the occasional game shop kid who wants to put his grubby hands all over your fresh out of the box bright and shiny Ghost. Hands off slimy mynock, mines!!!! But seriously as a TO you are ultimately responsible for the enjoyment of others and organizing these things. You are the leader. So have good bedside manners and be willing to commit to doing a large share of the work, it not all of it. We have run some very successful leagues at our local store here in the 'boro, Galactic Comics and Games. First, a small tale. I arrived in this town almost two years ago. Went to the game shop for the first time and got a game of X-Wing on day one. It was pure heaven. But then darkness came and I went without a game for well over six months. Slowly but surely I dragged out our current players from the woods and seedy back alleys. Literally, I found Mr. Thomas Fox (one of our local players) creeping in a back alley behind the store. Slowly we all collated together and formed our group (by the powers combined, we are Captain Planet - wait - hmmmm). This took an incredible amount of patience and long lonely nights at the game shop playing games like warhammer or warmachine or dreadball and hopefully trying to convince others that this super sweet game called X-Wing was worth it. One night I remember pulling out my fleet of ships and setting them up to show people how cool they were and the only person who showed any interest was 8 year old kid who was playing pokemon. I remember him vividly saying "Hey! Those are cool! Isn't that the Star Ship Enterprise? I love Star Trek". So I slowly hung my head completely ashamed of the newest generation and packed up my stuff and shuffled over the bar across the street to drown my sorrows away and dream of brighter X-Wing days. Wow...slightly off topic. Again. As usual. Now back to your regularly scheduled program. We held our first league after playing the occasional game or two on Thursday nights. We had 8 people interested in playing, and we would meet at 8pm on Thursday nights. It was a simple 100 points pre-determined lists for three weeks with two matches each Thursday. Now this went ok, but it was not stellar. Each week we had around 5-6 players, and it always seemed like one or two guys couldn't make it for one reason or another. But no matter we just assigned them byes, and continued playing. Towards the end of consistent play, we had 4 new players join us as walk ins, and by the last night we had almost 12 players total. Honestly not sure how that happened, except word of mouth and a bit of advertisement on the good 'ol BookFace. At the end of the league we held a Saturday tournament, and had a nice turnout of well over 14 players (most local and a few from about 40 minutes away). You could not take away from your list but could only upgrade pilots and upgrades. This was a blast! You can see our last match on our YouTube Channel (this video will not be show because we are bad at video), where I flew a nasty Vader Black Squadron on Crack squad versus a nasty Han, Dash, and Y-Wings with TLTs (Nic, please remove this bad word --Jeb) . This time around we offered prizes! A winter kit and everyone paid $10. We had a consistent 12 players almost every week. 150 point matches that are not timed last unbearably long - do not do it! Now our third league is about to start this Thursday! Sounds fun eh? Once we have the pairings and grab bags set, we will post them weekly for those of you who would like to follow along. In addition, we will record a feature match each week and post it online! Overall, I have heard of many leagues being extremely successful when you play outside or have opponents during the week not on a set night. For example, you would play two games per week, record scores and give them to the TO when you all meet up to play again on your set gaming night. Well I hope this helps y'all out. Coming up soon! New podcast (wasn't our last one epic???????? hahahahahhaha it was so bad and I am willing to admit it) and squad building!